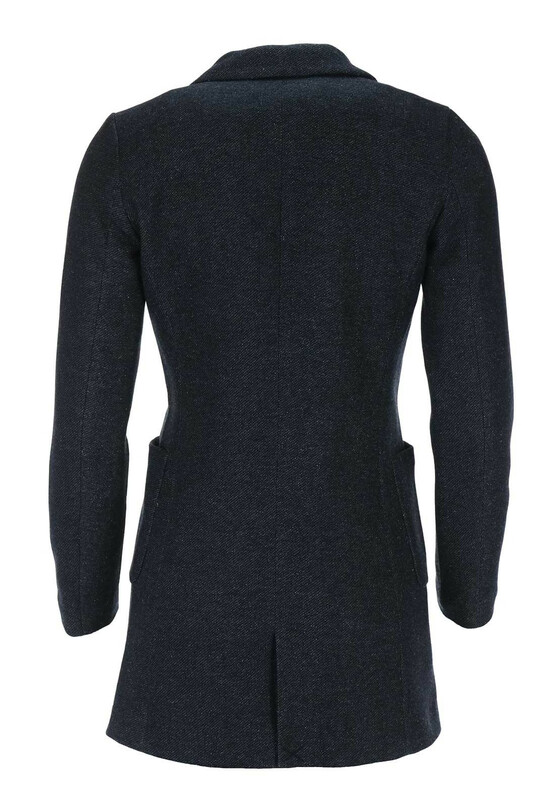 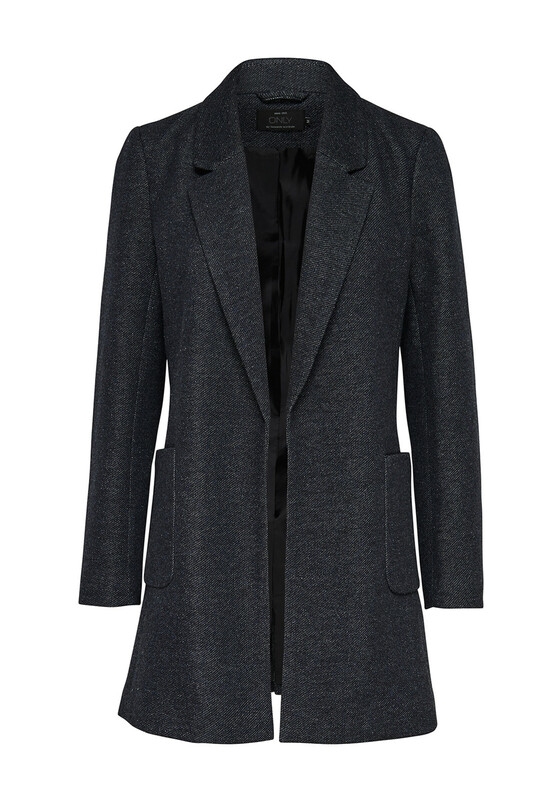 Only present the Baker blazer in its funky longer length and navy melange knit fabric. 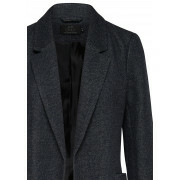 A chic and sophisticated choice for a chic daytime style team over skinny jeans and a blouse. 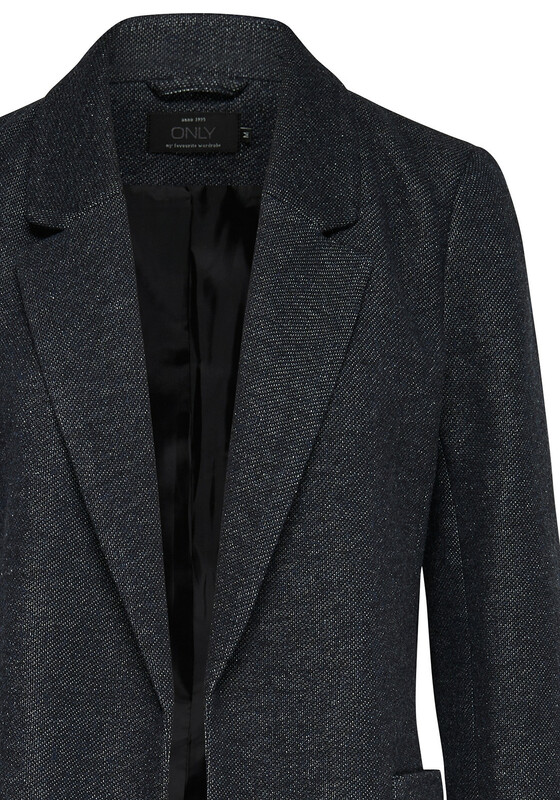 Oversized pockets complete the look.